Friendship, and then love, ended his isolation. Nathaniel Hawthorne was born in Salem on July 4, 1804. His father, a ship captain, died of yellow fever in Suriname in 1808 when Nathaniel was four. He was described as a silent, reserved man. Nathaniel inherited his moodiness. After his father’s death, his mother and sisters moved in with his mother’s relatives. At 12, his family moved to a house built by his uncles in Raymond, Maine, for a time. He loved living in Maine, but he had to go back to Salem after three years to attend school. I love Hawthorne, I admire him; but I do not know him. He lives in a mysterious world of thought and imagination which he never permits me to enter. After graduating from Bowdoin in 1825 he decided to be a writer. He moved into his mother’s family house in Salem, holed up in his tiny bedroom on the fourth floor for 12 years. He came and went freely, going on some walking tours, but he seems to have been suffering from some kind of terminal introspection, schooling himself in the writers' life by reading and writing and rewriting and even completing a novel. 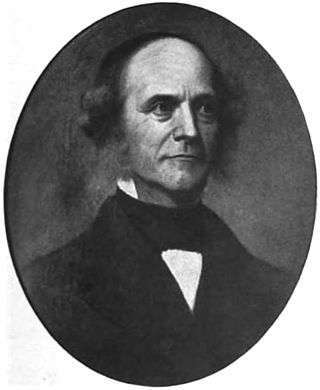 Nathaniel Hawthorne read 1,200 books from the Salem Athenaeum, mostly biography and early American history. He supported himself by doing clerical work for his uncle’s stagecoach line and editing his uncle’s articles on fruit trees for The American Farmer. His sisters lived with him in the house, but they often ate their meals in their own rooms. He didn’t get along well with his sister Elizabeth, and they went for months without seeing each other. He and Louisa played cards, and he took walks, often to Gallows Hill. Fires, political rallies and military drills drew him out of his room. In the summer, he took short trips, but in the fall he returned to his lonely attic chamber. “We do not live at our house; we only vegetate,” he once said. In 1828, he paid to publish his novel Fanshawe, which he started writing in college. He later asked his friends and family to return the copies he gave them so he could destroy them. Two years passed before he was published again. And then it took another 11 years before any work appeared under his own name. It was a period of frustration and discouragement. He burned much of his work, ‘in a mood half savage, half despairing,’ he told his closest college friend, Horatio Bridge. Between 1830 and 1834, a few of his tales were published. In 1835, 17 of his stories appeared in print; five more in 1836. That year he moved to Boston for six months to write and edit the American Magazine of Useful and Entertaining Knowledge. He was paid little and his financial problems increased. He wrote to Bridge, telling him he felt helplessly adrift. 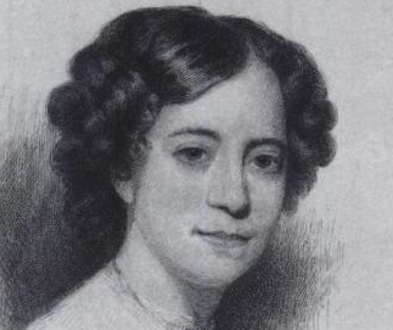 Bridge, a lawyer who embarked on a successful naval career, in 1837 secretly wrote to a publisher and offered to cover the risk of publishing Hawthorne’s stories, Twice-Told Tales, The volume, published under Hawthorne’s name, got a good review from another college friend, Henry Wadsworth Longfellow. Nathaniel Hawthorne returned the visit to the Peabody household, and kept visiting. Everyone thought he was courting Elizabeth. But it was Sophia Peabody who drew him out of his solitude. She was pretty, artistic and frail. Doctors’ treatments made her an invalid throughout her life. She was dosed with calomel, or mercury chloride, which destroyed her central nervous system. Throughout most of her life, she was bedridden. In 1838, Sophia wrote a letter to her sister saying she didn’t want a husband – partly because of her health. She was soon engaged to Nathaniel Hawthorne. Hawthorne’s need to earn enough money to support Sophia brought him out of his ‘haunted chamber.’ In 1838 he went to work in the Boston Custom House and then spent part of 1841 in the famous Brook Farm community. Finally, he saved enough money to found The Old Manse in Concord, Mass. After their wedding on July 9, 1842, Nathaniel Hawthorne took his new bride away from Salem and the reclusive life he’d lived for 12 long years. After he had become a famous and respected man of letters, he looked back on his years spent under the eaves. "In this dismal chamber Fame was won," he wrote. 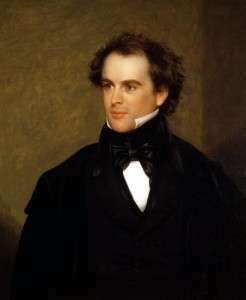 This story about Nathaniel Hawthorne was updated in 2018.